Some people think Kitakyushu is a warm place because word “Kyushu” has southern image, however it is actually pretty cold here in winter. 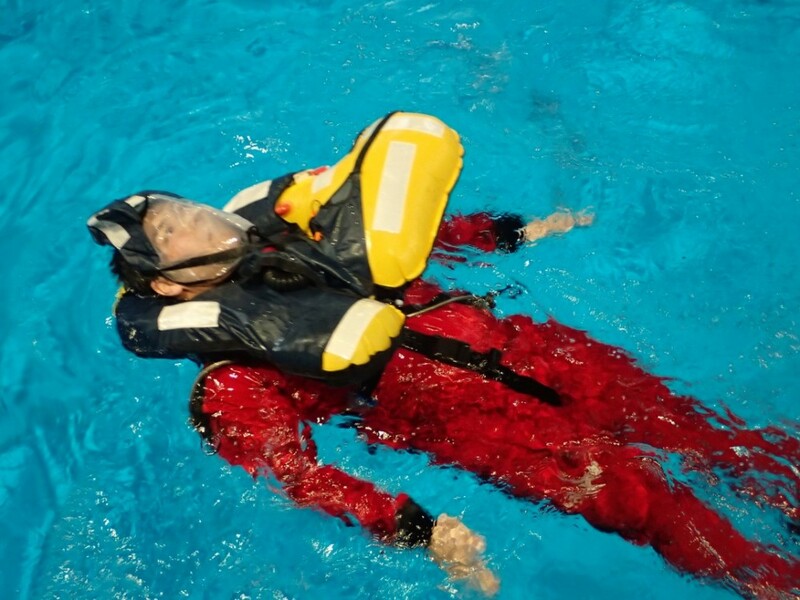 On the second day of BOSIET it was snowing and very cold, however HUET (Helicopter Underwater Escape Training) was completed without any problem . HUET is held indoor of the training facility with temperature controlled pool so “Unbeaten by Rain, Unbeaten by wind”. This is what the weather forecast looked like on the day. Snow and storm… that sounds terrible (lol). Wind: Strong northwest wind. Later very strong northwest wind off-shore. 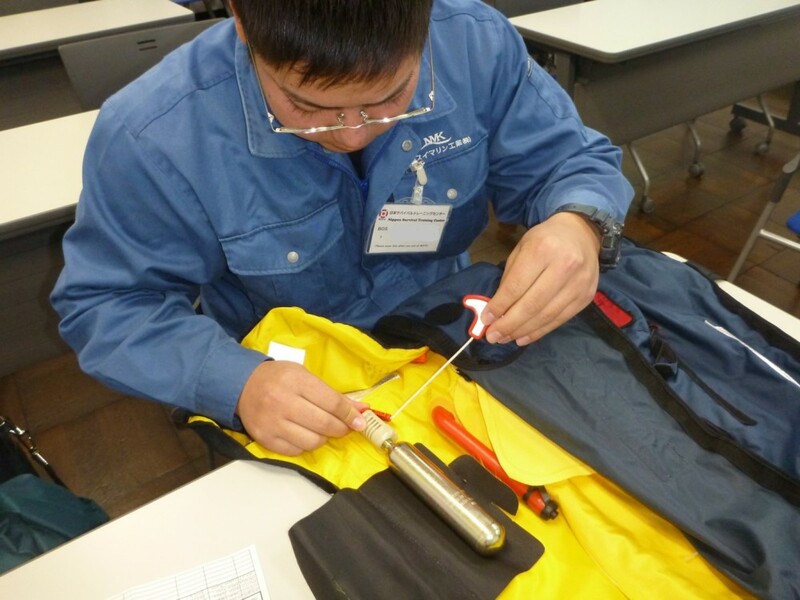 To change the subject, there are requirements to keep high rate of survival at sea, and one of them is “maintenance of lifesaving equipment ”. Another words, you cannot fully benefit from lifesaving equipment at the time of emergency unless those equipment are well maintained. In HUET we employ the equipment that combines lifejacket and emergency breathing system. Such case has been reported that lifejacket had not been inflated at the time of emergency. Thus maintenance on a regular basis is important. Checking condition of lifesaving equipment including lifejacket should be done on regular basis. At NSTC we provide trainings not only for emergency response but to raise safety awareness, leading trainees to realize such as importance of maintaining lifesaving equipment.